Queenslanders can take advantage of a new grants and loans scheme to install home batteries. 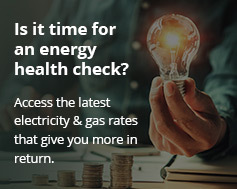 Energy Minister Dr Anthony Lynham said 1,500 Queensland households and small businesses would be able to cut their power bills by storing solar power and using it after sunset after being financially assisted by home battery grants. “Queensland householders can jump online and apply for interest-free loans of up to $10,000 and grants of $3000 to purchase batteries or combined solar-battery systems,” he said. Lynham said a high energy-using household that contributes $2,000 to $3,000 towards the upfront cost of their solar and battery system may save $400 a year. Enphase batteries are one of the brands residents can install under Qld’s new battery grants. “Almost half a million households in Queensland are generating power from rooftop solar,” he said. The minister announced the home battery grants during a visit to a Brisbane family who have been using a solar-battery system for two years, storing power and saving on their power bill. Grants of $3000 as well as interest-free loans of up to $6,000 for 500 batteries. This is on top of the solar loans scheme that started in June offering interest-free loans of up to $4,500 for solar systems. Lynham said Labor’s policy had been a catalyst for an estimated $2 billion worth of private investment in solar. Member for Nudgee Leanne Linard encouraged small businesses and households to get government assistance for renewable energy options. Lynham said the roll out of solar and battery packages also had a strong safety focus. Tell your supplier you’re approved and get your system installed. The supplier cannot install before approval or you won’t be eligible for the home battery grants. Get back online to have your approved dollar amount paid to your supplier. You have six months from approval to install the system.